Director Vamsi Paidipally has confirmed, " Superstar @urstrulyMahesh is "RISHI"... Meet "RISHI" and Join His Journey on the 9th of August.. :)" So we have just1 Day to Go to Meet Rishi, as the makers are set to launch the First Look tonight at 12:06 am and the teaser at 9:09 am tomorrow. 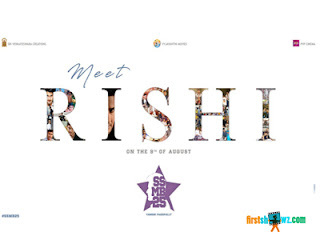 "Just 1 day to go for The Journey to Begin.. Meet Superstar @urstrulyMahesh as "RISHI" and Join His Journey," tweeted Vamsi Paidipally Mahesh babu is expected to be seen in two different looks in Rishi, where he plays the title role, while Pooja Hegde plays his lady love. Dil Raju, Aswini Dutt, and PVP Cinemas are producing the movie.